A short tract that helps children ages 6-9 understand the meaning of Easter, 'Why Did Jesus Die?' is a clear and engaging Church resource. Christians call the day Jesus died 'Good Friday'. How strange! But that's not the only strange thing about the Friday Jesus died, or the Sunday afterwards. This booklet uses puzzles and questions to help children think about four big Easter surprises—and to see what they tell us about why that Friday really was 'Good'. Why Did Jesus Die? by Alison Mitchell was published by The Good Book Company in January 2019 and is our 442nd best seller. 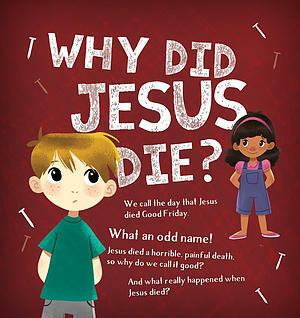 The ISBN for Why Did Jesus Die? is 9781784983048. Reviews of Why Did Jesus Die? Be the first to review Why Did Jesus Die?! Got a question? No problem! Just click here to ask us about Why Did Jesus Die?. Details for Why Did Jesus Die?